Eau Claire is the Kubb Capital of North America. We love the game here, and it&apos;s growing in popularity throughout the country. Thanks to residents Eric and Erin Anderson, Eau Claire has hosted a Kubb championship since 2007, and in 2009 that tournament officially became the U.S. National Kubb Championship. 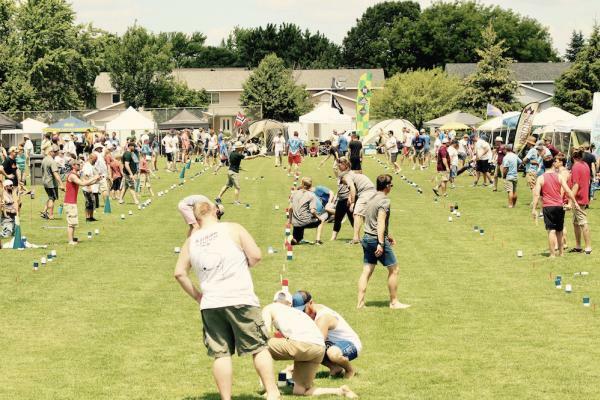 Now a 501 (c)(3) non-profit organization, the U.S. National Kubb Championship not only determines the National Champion team each year, but also fosters an atmosphere where serious and recreational Kubb players alike can come together and play the game. This is a great event to promote Kubb and also raise money for charities, such as Girls on the Run of the Chippewa Valley and We Help War Victims. As it states on the official website for USA Kubb, "Kubb is a game for all, and the US Championship is open to everyone. All ages, skill levels and experience are welcome." So you want to be a part of this awesome event, and the awesome Kubb community, but how do you enter? I&apos;ll break it down for you in three (mostly) easy steps! The USA Kubb website has a short and extremely entertaining video explaining the basics of the game and a downloadable PDF file of the US National Kubb Championship rules. There&apos;s also a listing of annual Kubb events in Eau Claire, including the EC Kubb League. According to Eau Claire resident, nationally ranked Kubb player and Kubb League organizer, Bridget Long, hands-on experience is the best way to hone your skills. Long says, "I believe the best way to learn how to play Kubb is through actually getting out and playing the game. There are several opportunities in the Eau Claire area for people to learn the game. One of them would be to join our Kubb league where we have a recreational division for first-time players, or newer players, to learn the game and have an enjoyable time." To join the league, follow Eau Claire Kubb League on Facebook. They currently have leagues in the fall, winter and spring, with each league running about 6 to 9 weeks. Get your team registered for the U.S. National Kubb Championship. Important things to note: there is a 128 team limit, with a minimum of three players required per team. The registration fee is $70.00 per team. Register online at www.usakubb.org. The championship will take place July 13th-15th, 2018. 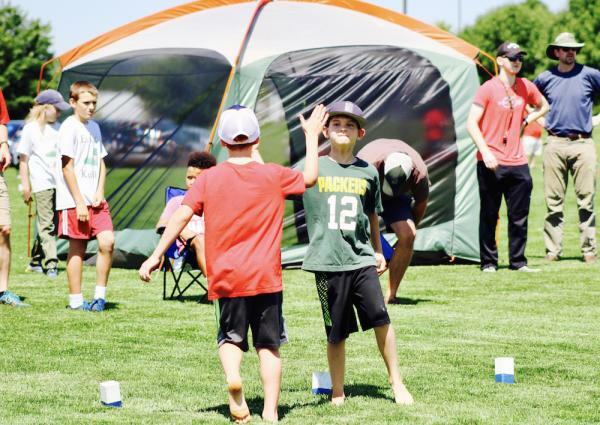 The weekend kicks off with practices on Friday, the Kid Kubb US Junior Championship tournament during the day and a kick-off party hosted at The Fire House in Downtown Eau Claire on Friday evening. Saturday at 9:00 A.M. the tournament starts, and continues through Sunday when the National Champion team is crowned. Don&apos;t worry about your skill level or experience. As Long says, "The U.S. National Kubb Championship is open to all levels of teams, from beginner and first-time players to national champions. The Championship was created in a way that all players, no matter their ability, can have a great time." The Eau Claire Kubb family is very welcoming and encouraging, and she goes on to say, "One thing about the Kubb community in Eau Claire is that everyone is more than willing to meet up and teach others the game and welcome them into a league or other tournaments. Players around Eau Claire are always willing to take a few minutes to explain basic rules or second-level strategy." As they say, Kubb unites people and creates peace on Earth! So don&apos;t be afraid, toss your hat into the ring. Or rather, your baton into the pitch! Share your best Kubb photos, be they from the US National Kubb Championship, or your own backyard, by using #CaptureEC. We look forward to seeing you at the US National Kubb Championship!